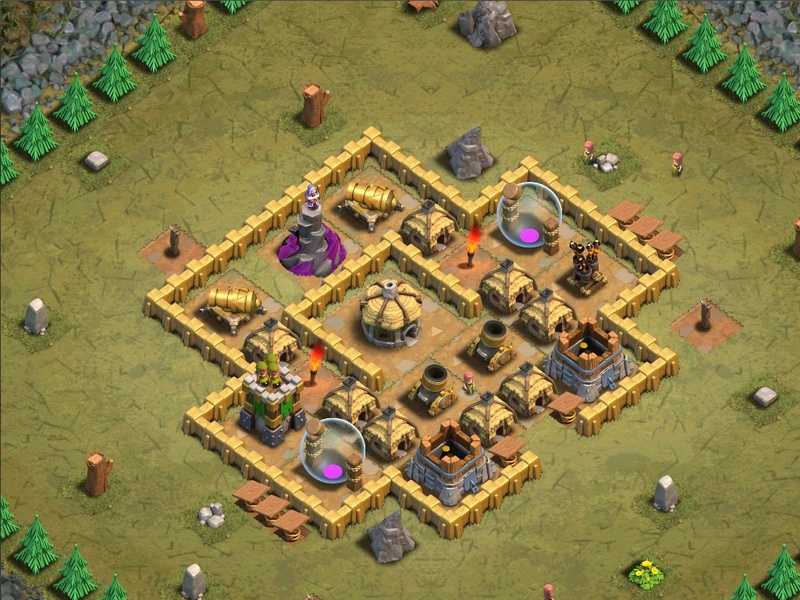 In this level you must get rid of the Air Defense first and then the Archer Tower and Wizard Tower. The Balloons do the rest for you. Destroy the Air Defense with 15 Archers each, then 10 more if the mortar hits. Deploy 10 to 25 Archers to destroy the Archer Tower. Use the rest of the archer to destroy the Wizard Tower at the top. Deploy them in groups of 10. Deploy 25+ Minions at the Air Defense and Enrage them. Deploy 3 Balloons at each remaining anti-air tower.